Need information about how to order Talking Prescription containers for prescription medication obtained from Walmart? You’ll find everything you need in this post. 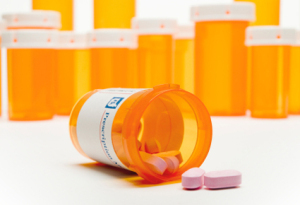 In June, 2012, Walmart became the first national pharmacy retailer to offer Talking Prescription Containers free of charge to persons with visual impairments. The ScripTalk Talking Prescription program is being offered to customers across the country through Walmart mail order. In addition to the national mail order program, Walmart now offers ScripTalk at 33 stores around the country. A list of stores where ScripTalk is available, as well as instructions for ordering, appear below. Read the June, 2012 Walmart press release announcing its ScripTalk initiative. To order ScripTalk talking prescription containers for use with prescription medications obtained from Walmart, you must first contact Walmart. For mail order, Walmart has a dedicated toll free phone line for ScripTalk requests. The toll free number is 1-888-227-3403. You may also contact any of the stores listed below directly for information on receiving ScripTalk containers from those stores. You only need to order the device once: it will work with any Talking Prescription label you receive from Walmart. Walmart is currently also offering the Talking Prescription labels in thirty three stores across the country, listed at the end of this post. As with mail order, you will need to contact both the Walmart store (for the prescription medication) and Envision America (for the ScripTalk reader). If you are a Walmart customer with a visual impairment who’s store is not yet offering ScripTalk, and you are unable to use Walmart mail order, please contact us to let us know. We also welcome your feedback about the Walmart Talking Prescription Container initiative. To contact the Law Office of Lainey Feingold, please visit the Contact Page. To contact co-counsel at Goldstein, Borgen, Dardarian and Ho, please call toll free at 1-800-822-5000. We welcome your feedback about the Walmart Talking Prescription Container initiative. To contact the Law Office of Lainey Feingold, please visit the Contact Page. To contact co-counsel at Goldstein, Borgen, Dardarian and Ho, call toll free at 1-800-822-5000.